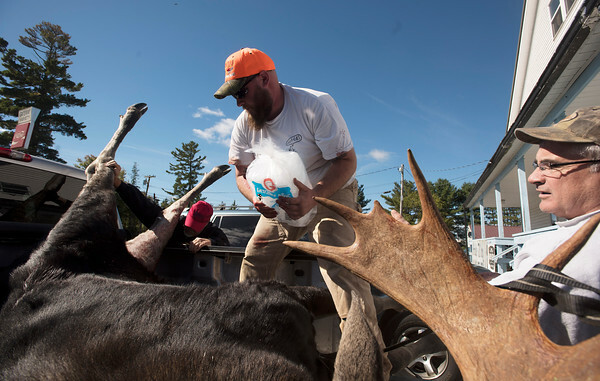 ASHLAND, MAINE -- 09/21/2016 -- Ben Grover, 25, of Readfield (left) and his uncle Al Laliberte pack ice into the body cavity of a moose Grover shot Monday morning on the first day of moose hunting season. They brought the animal to be tagged and weighed at the Gateway Variety store in Ashland. The moose weighed in at 755 pounds.